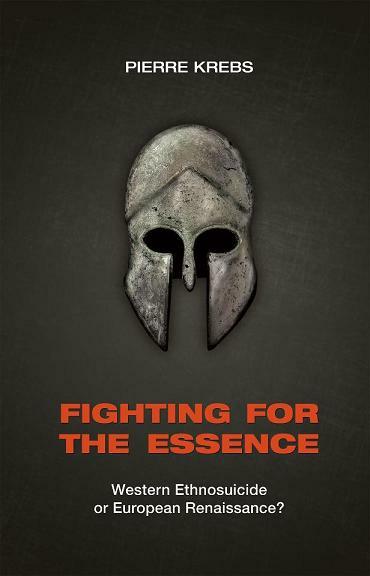 My knowledge of the European New Right (ENR) is very scarce, no more than a few short articles and three books: Guillaume Faye’s Why We Fight , Alexander Dugin’s Fourth Political Theory, and Pierre Krebs’ Fighting for the Essence, Western Ethnosuicide or European Renaissance? . I found Faye’s metapolitical dictionary substantively insightful and Dugin’s dissection of liberalism penetrating. But Krebs’ book finally clarified for me something about the ENR I had sensed but was not sure about: its belief that Western Civ stands for the rise of multiracial societies in Europe. I noticed this animus against the West in Dugin’s book. 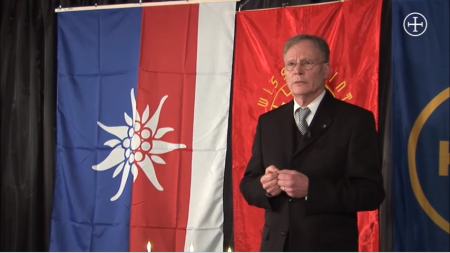 In the case of Dugin it was more his identification of American Neoconservatism, or Mainstream Liberalism, with Western Civ as such, his rejection of Western rationalism, his condemnation of the idea of progress, his use of cultural Marxists and postmodernists (Franz Boas, Michel Foucault, Levi Strauss, Jean Baudrillard) to paint a picture of the West as the sickest, most destructive civilization in human history. Everything hateful about the world — consumerism, environmental despoliation, egalitarianism, plutocratic manipulation, erosion of ethnic and traditional differences — was explained by him as a direct product of the metaphysical orientation of the West. In order to adequately understand the essence of liberalism, we must recognize that it is not accidental, that its appearance in the political and economic ideologies is based on fundamental processes, proceeding in all Western civilization. Liberalism is not only a part of that history, but its purest and most refined expression, its result (Fourth Political Theory, p. 140). But I thought that these were the prejudices of a Russian nationalist, a keen defender of Putin’s foreign policies in the face of American Neocon wishes for control of former Soviet territories. But upon reading Pierre Krebs’ book a few days ago, I am starting to realize that opposition to the West (and, by direct necessity, opposition to almost the entire history of Europeans) is quite prominent among members of the ENR. 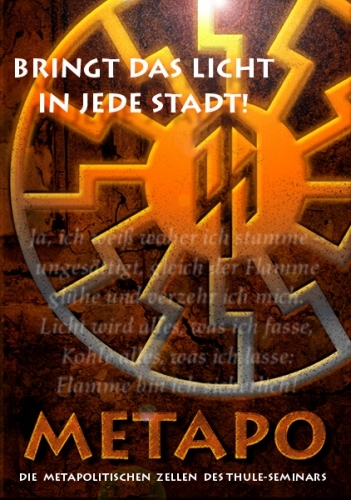 I feel confident in making this generalization about the ENR, having read, additionally, some articles by and about Alain de Benoist, noticing right away that he too holds the West responsible for all the main maladies of our times: individualization, massification, desacralization, rationalization, and universalization. He traces the roots of these destructive trends to the Christian concept of equality and the Christian idea of progress, and then explains how these concepts were secularized in modern times. 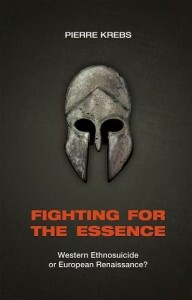 But my focus here will be on Krebs’ Fighting for the Essence, originally published in 1997. I will engage with Krebs’ ideas by citing passages from his books, and then offering my responses below. I view Krebs as an ideological friend with whom I have a major disagreement about the nature of the West. He offers an effective rhetorical critique of the relationship between the homogenization of humanity and the celebration of diversity through miscegenation. But the claim that the West has been the destroyer of racial identities is very simplistic and evinces a truncated understanding of the history of the most enriching and complex civilization. Krebs distinguishes an “authentic” West that is Greek, Faustian, and Indo-European from a “Judeo-Christian West that came after. But he condemns the West in its entirety once it became “Judeo-Christian.” And this argument is historically flawed, starting with the term “Judeo-Christian,” which is a recent invention reflecting trends that cannot be teleologically attributed to the ancient past. “Genuine tragedies in the world are not conflicts between right and wrong. They are conflicts between two rights,” Hegel once wrote as he contemplated the history of Europe. Individualization, universalization, rationalization, and desacralization were inescapably connected to the rise of this civilization to world supremacy. They are part-expression of the tumultuous temperament and directional psyche of Europeans. You can’t condemn these world-historical processes without condemning Europeans as a people. These processes were not, historically for the longest time, and, therefore, in and of themselves, anti-White. RD: Krebs is saying that the Greek polis which evolved gradually from the seventh century BC onward, a radically new form of governance based on laws, offices, and direct participation by members of the polis or city-state, in contrast to a form of rule based on the personal powers of a despot and his entourage, was not only a civic political community based on laws equally binding on all members, but was consciously grouped according to a shared sense of ethnic identity. The representative parliaments that emerged later were merely based on the civic identity of the members of the state, their shared political rights and responsibilities, which anyone regardless of ethnic identity could lay a claim to as long as he was or became a political member of the respective state. I have heard this claim expressed in New Right circles, how Christians with their idea that we all have equal souls in the eyes of God were responsible for our current obsession with harmonizing all races inside the West, or how Romans with the granting of citizenship during the third century AD to inhabitants in the Empire of any race, started a new trans-racial concept of citizenship. My view is the opposite: racially conscious political communities were created only after the Enlightenment. Europeans were the first people in history to develop a science of race. Humans are ethnocentric by nature in showing a preference for their own linguistic, tribal, and ancestral groups, but this is not the same as being racially aware and having the intellectual wherewithal to articulate a rational argument about the existence of different races. Racial awareness began during the sixteenth century as Europeans were coming into contact with peoples in the Americas, Africa, and Asia with very different bodily attributes and customs. It was during the Enlightenment, however, that Europeans began to develop a scientific theory of race. The same philosophers who announced that human nature was uniform everywhere, and united mankind as a subject capable of enlightenment, argued “in text after text . . . in the works of Hume, Diderot, Montesquieu, Kant, and many lesser lights” that men “are not uniform but are divided up into sexes, races, national characters . . . and many other categories,” so observes Aaron Garret in a book chapter titled “Human Nature” in The Cambridge History of Eighteenth-Century Philosophy  (2006). Eighteenth century talk about “human nature” and the “unity of mankind” was less a political program for a universal civilization than a scientific program for the study of man in a way that was systematic in intent and universal in scope. Enlightenment thinkers were not calling for the unity of humanity, the sameness of races, other than for a “federation of the peoples of Europe.” Garrett is stereotypically liberal and thus writes of “the eighteenth century’s dubious contributions to the discussion of race,” but what matters is that Enlightenment thinkers did engage in the scientific study of races in light of the evidence and the knowledge at the time. Most Enlightenment thinkers rejected polygenecism and asserted the fundamental (species) equality of humankind, but they also came to the conclusion that humanity was divided into different races with very different biological traits, behavioral dispositions and mental aptitudes. One cannot speak of the suicide of Europeans in a racial way without the very “rationalism” Krebs condemns, which is presupposed in the scientific study of races. The Greeks were not yet rational in their understanding of races. Their concept of civic membership did presuppose membership of traditional kinship or tribal groupings, but it did not presuppose racial membership.The Greeks developed a Pan-Hellenic identity during the first century BC in the course of the Persian Wars (490-479 BC), but this was a cultural identity, easily fractured in the years ahead by the endemic wars between the city-states. By contrast, in the nineteenth century, the age of full-blown individualization, universalization, and massification, the field of racial studies emerged, and it was in light of these studies that the United States, Australia, and Canada instituted in the twentieth century “white only” immigration policies. These policies were implemented in liberal democratic societies and accepted by the majority of citizens. Americans have been pushing multiculturalism and immigration in Europe for decades, and if the term “Western Civilization” is taken to mean that European nations should become as the US and Canada were in the 1960s, with multiple European ethnicities converging as members of one nation, then I am opposed to it. But the settler nations of America, Canada, and Australia (and New Zealand) are European creations and altogether they should be viewed as members of a Pan-European world we can conveniently label “Western Civilization” as a way of identifying common traits and common historical experiences in and outside Europe in North America and Australia, in contrast to that of other civilizations. the ideals of ‘welfare,’ ‘freedom,’ ‘humanity,’ the doctrine of the ‘greatest happiness of the greatest number’. Krebs has an inverted understanding of the Faustian soul. 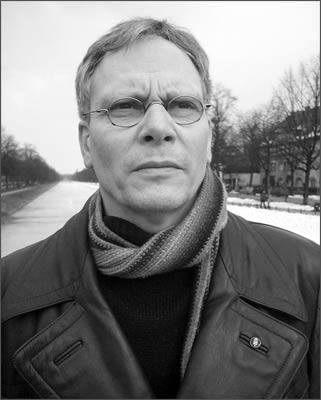 He grasps the aggressive moral certainty of globalists against the heterogeneity of cultures and ethnicities, but attributes this drive to Judeo-Christianity, mainly on the basis of its monotheism and egalitarian impulses, while picturing the Faustian morality of Europeans as if it were inherently inclined toward a life without directionality, repetitive cycles, co-existence with other morals in the world, ecological harmony, and polytheism. Krebs misreads the Faustian will to power of the West; he wants Europeans to “return” to their pre-Christian pagan past. But the problem is, first, that our Indo-European ancestors were a uniquely expansionary and directional people exhibiting a glorious expansive drive since prehistoric times across the Old World, spreading their “Kurgan ” lifestyle across Asia and Europe, leading eventually to a situation in which Indo-European languages are spoken today by almost 3 billion native speakers, the largest number of any language family. The problem is also that the immense creativity of the ancient Greeks, Romans, Catholics, Protestants, and Moderns I have written about in previous essays was driven by this Faustian energy — before and after Christianity. We are facing an enemy — both the Neocon assimilationists and the Left multiculturalists –possessed by a Faustian morale (intermixed with alien demonic motifs) dedicated to the destruction of European ethnic identity “without mercy” and in complete conviction of its ideals. We should not be surprised by this. But just because the proponents of European ethnic dissolution are Faustian it does not follow that this is what the West was always (since the inception of Christianity) inclined to do. The Faustian soul has expressed itself in multiple, conflicting ways throughout history. Europeans have been the most bellicose people in human history. They almost self-destructed in two world wars. Many other alternative outlooks were defeated or unable to gather sufficient support. Now we have a huge conflict opening up. In the Western world “life means struggling, overcoming, winning through” (343), and waging a successful political war against the prevailing Faustian ethic can only be accomplished with a Faustian ethnocentric morale. The words cited by Krebs are from Julius Evola. Krebs sees how we are facing an ideology with which there can be no compromises, and yet he speaks of a “return to our pagan Indo-European tradition” without considering that this tradition welcomes the struggle for existence, overcoming limitations, mastering nature. Evola has a mythological understanding of European history, a preference for traditional cultures combined with an immense dislike for Western modernity. He writes of the “order of things” in traditional cultures without realizing that Faustian man refuses to be bounded by orders other than those he has subjected to rational investigation. 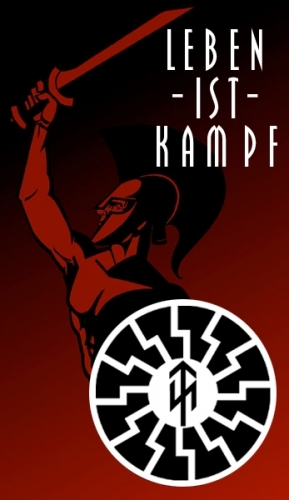 I learned much from Evola’s Revolt Against the Modern World ; it offers fascinating ideas about the “higher world” of ancient cultures, how rulers, institutions, and laws were seen as divine in origin and how this divinity ensured spiritual stability with a clear sense of the proper ranking of classes and human activities, higher spiritual functions versus lower materialistic functions, giving purpose and meaning to life, uplifting everyone in the direction of the higher “invisible reality” and conferring a sacred dignity to leadership roles, rituals, and beliefs. His understanding of the meaning of “tradition” surpasses that of any sociologist. the Faustian technics, which with the full passion of the third dimension and, to sure, from the earliest days of the Gothic era thrusts itself upon Nature in order to hold sway over her (cited in Farrenkopf, p. 72). Homo oeconomicus was a unique creation of Europeans, authentic to them. Europeans were the first to develop a science of economics and to discover the laws behind the production and distribution of wealth. The first to separate analytically “economic man” and thereby understand the activities of this man without confounding these activities with religious and political motivations, and, in doing so, to apprehend the reality that a nation’s power is more efficiently sustained when a nation creates its own wealth through work rather that through conquest. This was another major step in redirecting the Faustian energies of European man into less destructive endeavors. This does not mean that one has to accept the principles of free market economics since there are other schools including the much neglected German school associated with the economics of Friedrich List’s National System of Political Economy (1841), which accepted the wealth-creating nature of capitalism based on the economic history and economic reality of nations. The West is not alien to Europe but a creation of Europe’s incredible extension across the Atlantic in the modern era. Seeking a “return” to an “authentic” Europe of pagan gods, “transcendence and origin,” is Utopian. This Europe is nowhere to be found in the classical Greece Krebs cherishes. The ancient Greeks reinterpreted or limited the sphere of influence of their gods as they became self-conscious as distinctive personalities in possession of a faculty they called “mind” (in contradistinction to other bodily attributes and psychological drives) capable of self-grounding its own principles and criteria for truthful statements. The first step in the origins of self-awareness, or awareness of awareness, thinking about thinking, rather than thinking in terms of prescribed norms and mandated religious ordinances, came with the uniquely Indo-European fight to the death for the sake of pure prestige by aristocratic peers in the state of nature. I write about this in Chapter Eight of Uniqueness. The liberation of Europe has to be grounded in its peculiar history rather than in some static “origin” disconnected from what came after.